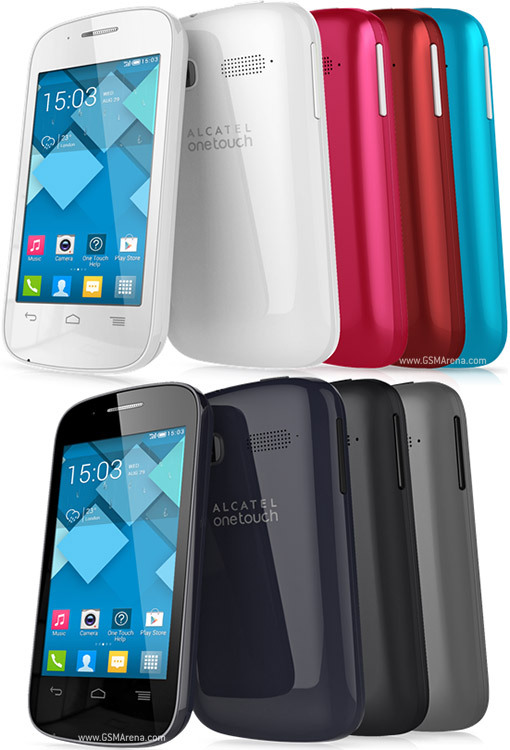 AT&T and Alcatel are bringing a new budget Android device to the prepay market with the launch of the Alcatel Onetouch C1, which will be available for just $59.99. For the money, buyers get what is very much a budget device running an older version of Android. The C1 has a 3.5-inch screen of 320 by 480 pixel resolution, a 1.0 GHz dual core processor, 512 MB of RAM and 4 GB of storage (this may be bolstered with a MicroUSB card), a 2 MP rear camera and a 1,400 mAh battery that offers up to seven hours of talk time. The device runs Android 4.2 Jelly Bean out of the box, which is a largely stock interface so all being well, the device should be reasonably fluid to use providing you're not using any heavyweight applications. It doesn't come with 4G LTE but at this price point, I wouldn't be expecting high speed mobile internet. I've used Alcatel's basic handsets in the past and they exceeded my modest expectations, but it would have been nice if Alcatel could have invested a little bit more time and money and upgraded the handset to Android 4.4 Kitkat, which should work very well on the limited hardware as it's been optimised for devices with 512 MB of memory. Does something like the Alcatel C1 make for a good introduction to Android? I am in two minds about this. On the one hand, the near-stock interface should mean that Android itself performs reasonably well. But on the other hand, the handset's main feature is the low price. It is unlikely to be updated to a newer version of Android, so if the buyer wanted to work with Android Wear, he or she needs to look elsewhere. The Alcatel C1 is not an Android One device, being much smaller in the hand and using an older version of Android, but it's coming in at about half the price. There's a lot to be said for this. Against this, if somebody were to pick up the C1 and start to take an interest in applications and some of the things that an Android smartphone can do, he or she would almost certainly grow out of the device very quickly whereas the Android One handsets do appear to have a lot more staying power. However, if the user isn't going to be be worried about doing anything altogether interesting with the handset then at $60, buyers get a basic but functional smartphone.